← Too Much Valium Is Still Not Enough. Oh, And There Was Blood. Mist hung in the air as a gentle breeze caressed my skin. Tons of seal pups! The brown things are not rocks - that's the pups. The air smelled fresh, as it always does at the sea. 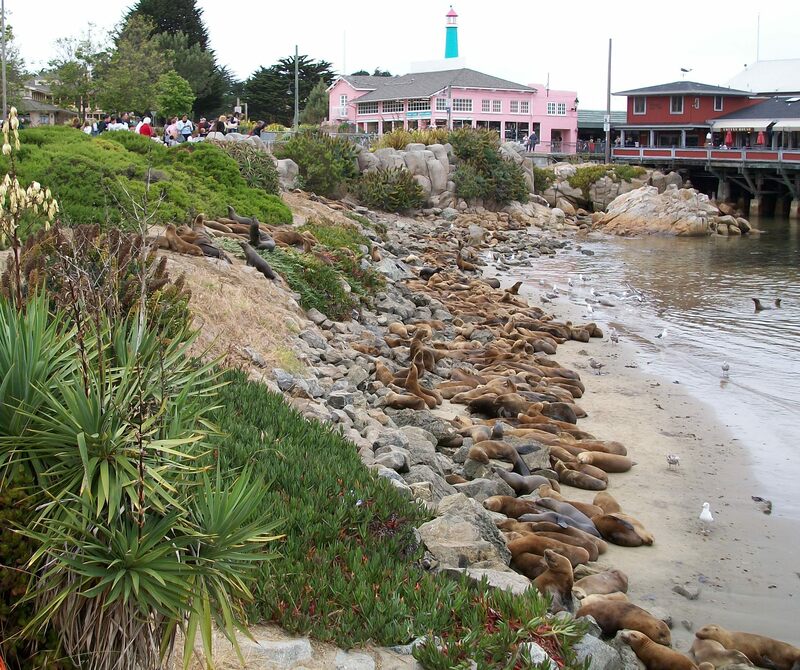 Seals barked in the distance, their sounds echoing off the row of shops and restaurants. Seagulls scurried away as I drew near, some taking flight. The occasional whiff of sauteed garlic and fried seafood wafted through air. A gust of wind caressed my bare legs, giving them goosebumps. Men winked and smiled as I sashayed down the long dock. Excitement was in the air. The hair at the back of my neck tingled. I was simultaneously electrified with anticipation yet afraid of the potential danger being so close to the known killers. I waited with baited breath, hoping to catch a glimpse of the large, dangerous group. Others were scared, too, while some jockeyed for the best spot to see them. The water lapped at the side of the large passenger vessel as it gently pushed off the dock. There was a long journey ahead of me. 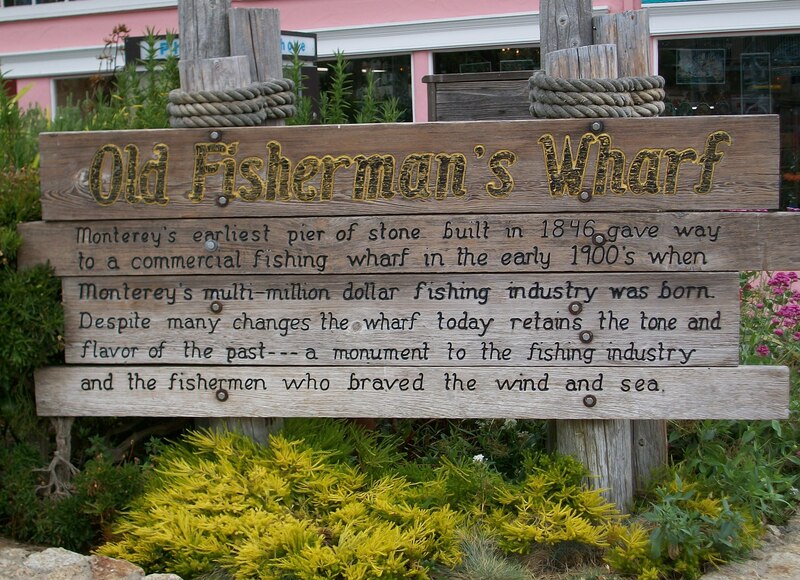 I spent the day on Old Fisherman’s Wharf in Monterey, California. I saw whales! Finally. Thanks to Princess Monterey Whale Watching, I got to sit in the wheelhouse of the Pacific Explorer with Captain “Duke”, and a couple other crew members. As soon as we were away from the dock, he put on the radio the theme from The Love Boat. Peels of laughter went up. But then he played the theme from Gilligan’s Island and we were rolling on the floor with laughter! There were Orcas (“Killer Whales”, the Bay Boys of the sea), Humpbacks, and Blue Whales! My friend took this video of the orcas (and dolphins?). My video skills are seriously lacking, but I got to see flukes (the tails) and spouts! It was awesome! The crew was fantastic. I overheard them talking about a trip that went out where no one saw anything. They felt bad for the passengers and asked the owner to give them all comps! The entire passenger list was given comps for that trip! Now that’s pretty nice service, folks. Princess Monterey Whale Watching, the little yellow shack near the end of Old Fisherman's Wharf. 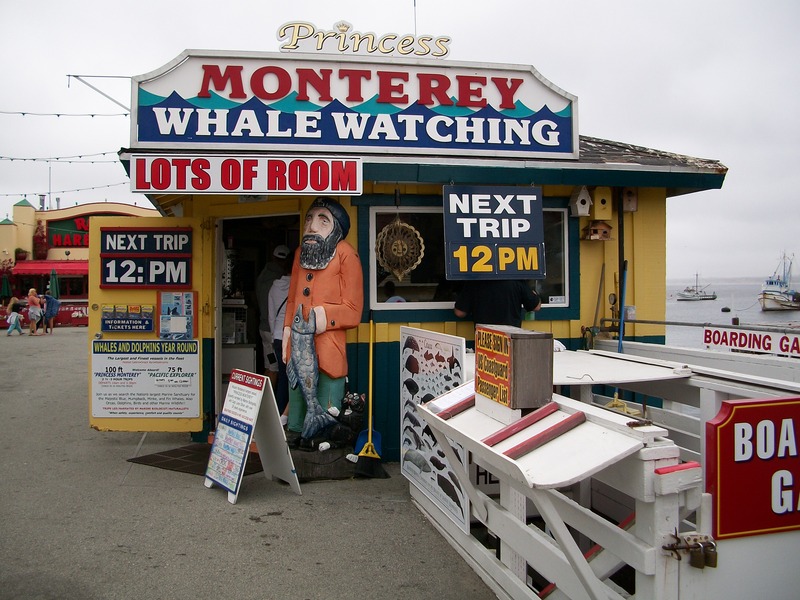 If you get to Monterey, check out Princess Monterey Whale Watching – they’ve got the largest boats, and the best service. Just to be clear – I was not paid to write this and only agreed to do so on the terms it would be my honest opinion. 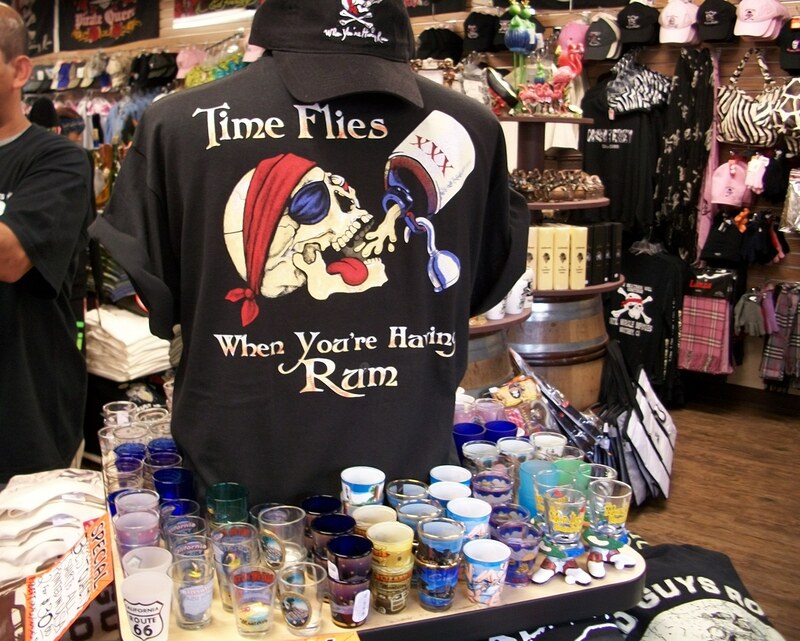 Time flies when you're having rum at Pirate's Cove! Before you get on board the ship, you should stop at Pirate’s Cove on the wharf and get yerself some pirate booty, er I mean bounty. The whole store is just pirate stuff! Most of it very funny. 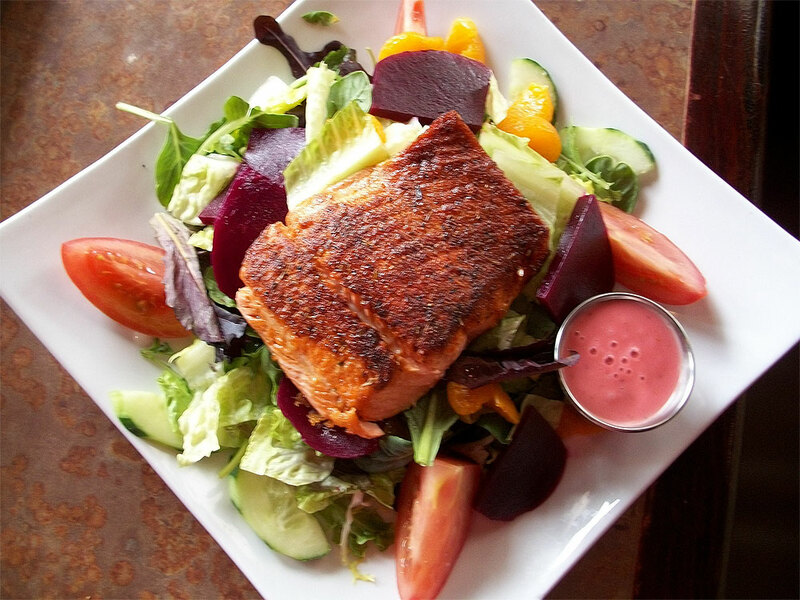 Cajun Salmon Salad - this was so good! 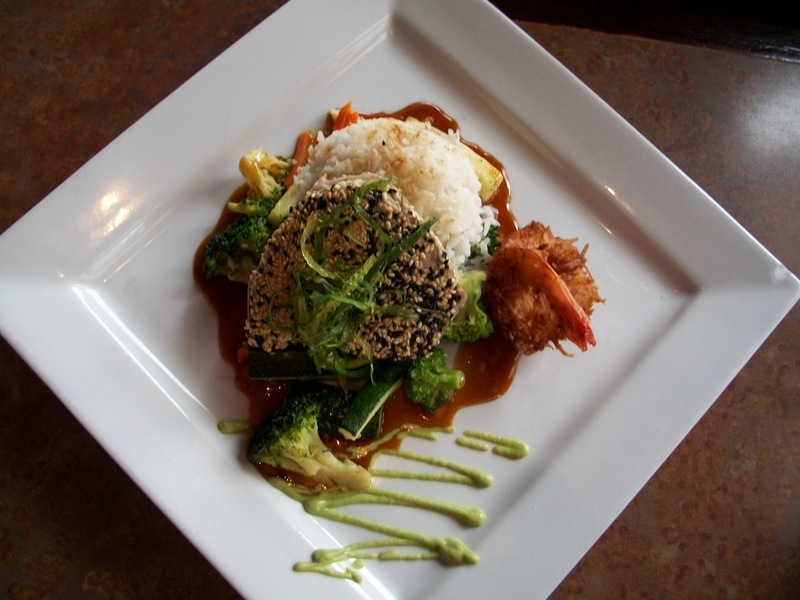 Hawaiian Sesame Crusted Halibut with Coconut Prawn - very tender! 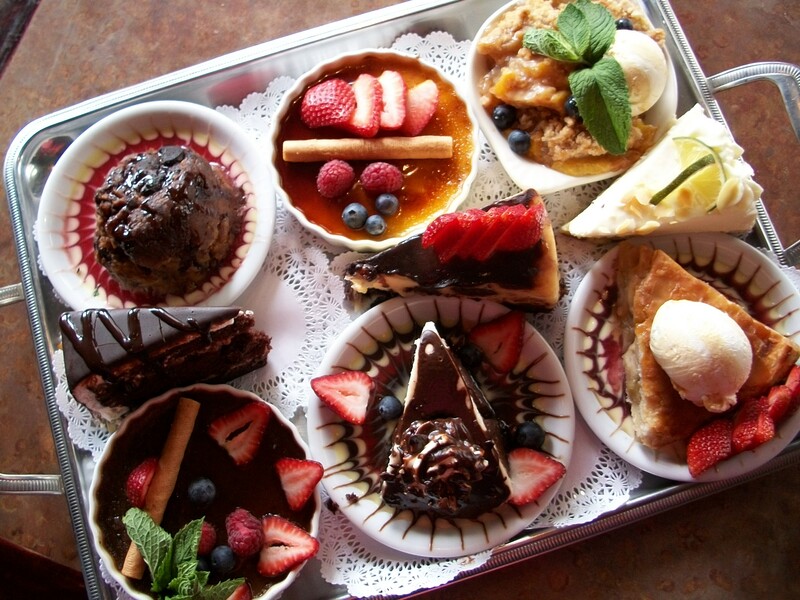 Chocolate Creme Brulee, Chocolate Cream Pie, Key Lime Pie, Peach Crisp, Bread Pudding, and more! 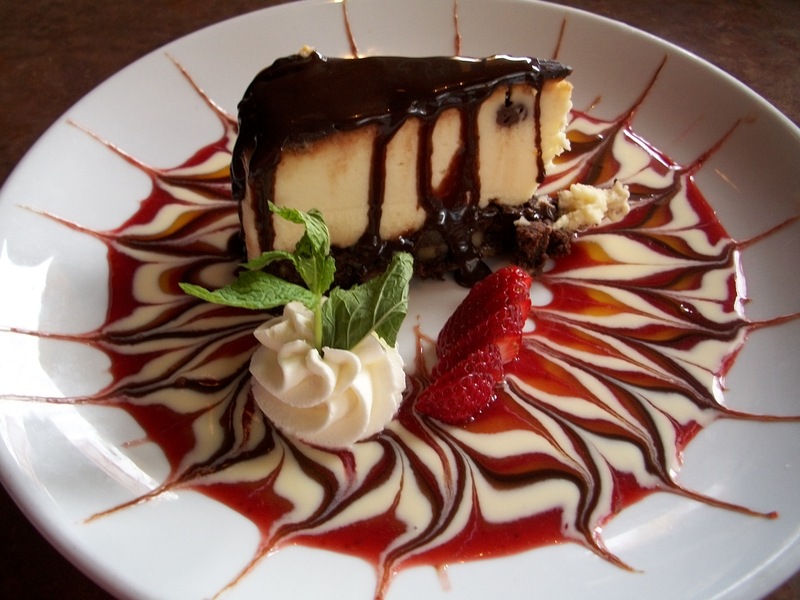 Cheesecake Brownie - OH. MY. GOSH! We devoured this so fast! Sure, maybe I’m biased… they’re nice folks, and I’m easy when you feed me. So don’t take my word for it – The Monterey County Herald just awarded The Grotto winners of the BEST CLAM CHOWDER! This is not an easy feat in Monterey! They also won the People’s Choice Award! 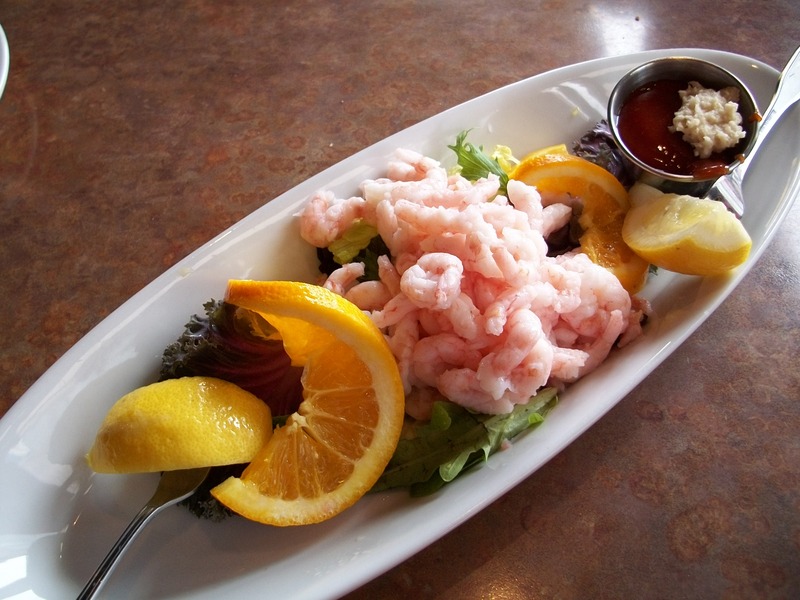 Can’t get to Old Fisherman’s Wharf but now I’ve made you hungry? The Grotto has a cookbook! Looks like a great day. I miss Monterey a bit more all the time. It was exciting working down on Cannery Row every day. Oh boy. I love me some whales. We’ve got lots of humpbacks outside of Boston, and I try to go see them at least once each summer. There’s something so cool about being in the company of gentle giants. It was great – even though I had to take a couple seasick pills. I couldn’t feel my feet, but I didn’t care! LOL I’m always a bit apprehensive when whale watching… I always think they whales are going to bump the boat and turn us into the water. I know, who thinks like that??! Probably no one. Enjoyed watching the footage of the Orca Whales. Was exciting especially the last part. have been whale watching on the Princess Monterey before. Suggestion for sailing seasickness: eat only just a little fresh fruit before you plan on going out. That’s how my family does it before going out on Monterey Bay. Hi Shanna! Wasn’t that great? I was so busy trying to get my rear out of the wheelhouse, and hold on while taking pics that I just gave up trying to get good footage in favor of not falling on the deck. Thanks for the info. Fruit does usually work for me. I usually eat a banana before a flight or boat trip, but it didn’t work last time so I opted for the drugs this time. This weekend I go by boat to jail on Alcatraz! Maybe I’ll try just the banana again.